The world of CBDs is continuing to grow, adding to our already vast assortment of medicine available, and sometimes adding to the questions we have about it. We asked our Wellness team to answer the five most common questions about CBD here at the Ashland Food Co-op. How is CBD different from what I might find in a dispensary? Many talented local chefs share their expertise in the Co-op Kitchen. Charlie Douglass is no exception. As the former Master Chocolatier at Harry and David, Charlie knows a thing or two about chocolate and candy making. Tell us how your love of cooking and food began. From bread baking to Moroccan cooking, many talented local chefs share their expertise in the Co-op Kitchen. We'd like you to meet a few of them. Tiazza Rose has been teaching the Ashland community the art of Moroccan cooking for years. If you haven't taken a class from Tiazza yet, you should. Here's why. Finding the perfect gift for a friend or loved one is an art. This winter, we carefully selected these assortments for those who love some good self-care, are working in partnership with their gut health, or for those making efforts to reduce their pain. Each of these gift ideas will help you make your loved ones feel extra special and extra healthful. Spend more time relaxing with friends and family this holiday. Order the Deli’s ready-to-heat and serve Thanksgiving meal without all the fuss. We make everything from scratch and all recipes use the highest quality ingredients. During the month of November, Co-op shoppers can nourish their own families and help fight hunger in the Rogue Valley. We’ve teamed up once again with Smart Chicken® for the Smart Giving Holiday Challenge. So how does that work? How does Ashland Food Co-op demonstrate concern for community? The Co-op is Certified Organic! What does that mean? Did you know that the Ashland Food Co-op is the only Certified Organic Retailer in southern Oregon. Well, that’s great! But what does that actually mean? Throughout September, we will be celebrating all things local. And no one loves local or is more local than our Temporary Demo Coordinator, Brighton Litjens. 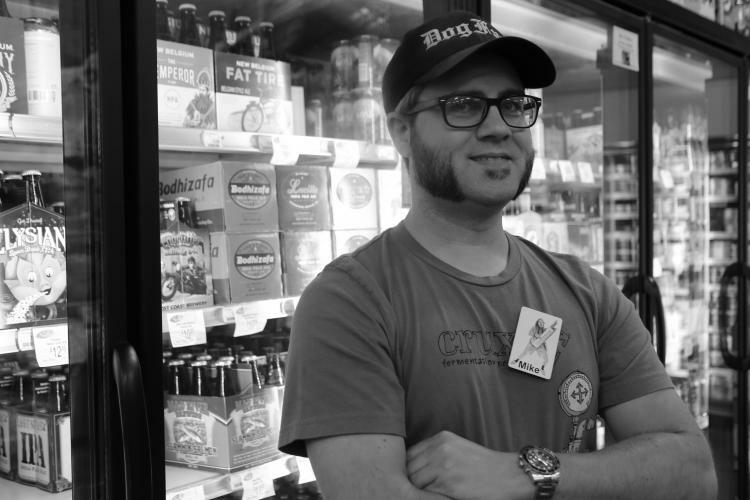 He was basically raised at the Co-op, has a strong passion for local farmers and producers and loves delighting shoppers with delicious samples and great deals. Who better to tell us about loving local than the "Local Guy" himself? Trine Ostergaard is a newly elected Ashland Food Co-op Board of Director. She brings a world, literally, of experience to the table and has a sincere passion and love for the Co-op. We are thrilled to have her aboard and asked her to answer a few questions. Dean Williamson is a newly elected Ashland Food Co-op Board of Director. He brings to the table a plethora of co-op experience and a love of chocolate chip cookies. We are thrilled to have him aboard and asked him to answer a few questions. September is Love Local Month! All month long we’re celebrating our local farmers and vendors with demos, events and more. Here are some of our staff's favorite local products. How Can I Reduce My Plastic Use at the Co-op? Plastic pollution today is a global dilemma. Did you know that more than 40% of plastic is used once, then tossed? In 2015, 79% of total plastic waste ended up in landfills or the environment. How can our co-op help reduce the amount of single-use plastics? Luckily, we offer a variety of options for owners.